Didier DE ZAN (somewhere, France) on 29 June 2009 in Animal & Insect and Portfolio. Wonderful processing and great shot! I like this in B&W! Cats in B/W are always good - this here particularly ! I like it ! The tones are excellent, but it looks to me like the focus is above the eye ??? Your post production makes this seem like an old photograph...nice! A beautiful image. The B&W processing is very well done. 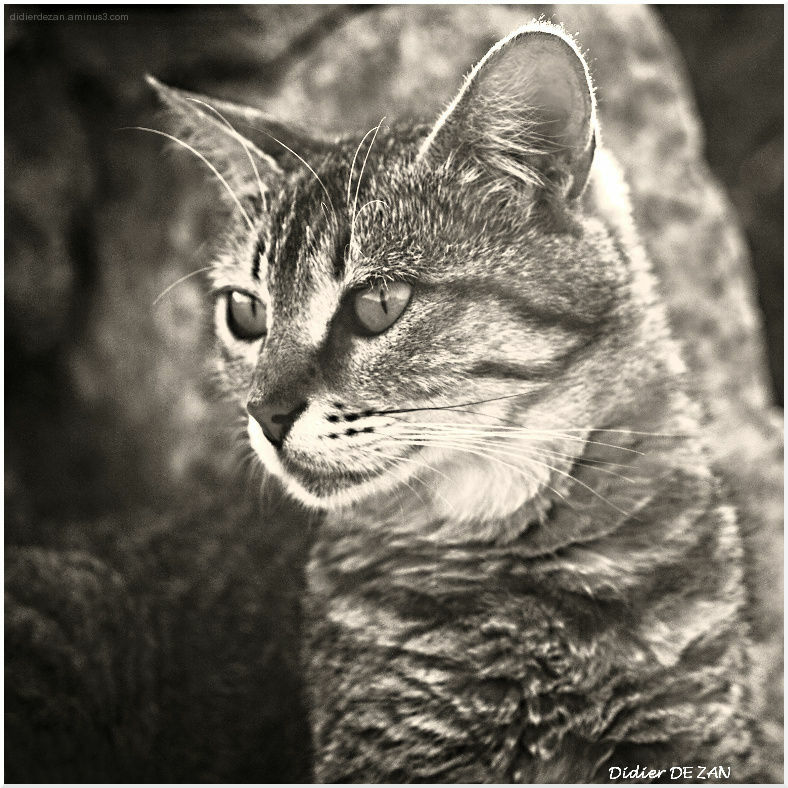 ce chat est superbe et tu lui as fait un superbe portrait ! He looks much tamer and gentler here. I agree the processing makes this appear like an old photo.